And it’s a guest! Remember that anthology about dragons, Heroika? He’s one of them authors, as promised! Ladies and gentlemen, please welcome Walter Rhein! I live in Chippewa Falls, Wisconsin. My family and I have a small house and we rent out the first floor. This is sort of a variation on the “micro-home” movement. I love the flexibility you get when you live in something small and you don’t have to be terrified about finding the mortgage money every month. That’s an important consideration when you’re addicted to writing. I don’t really take notice of my immediate environment anyway since I’m usually daydreaming (but I know my wife would prefer more living space). It’s a good way to sort out what I think about things. Writing can be something of a thought experiment. You create characters, conceive of how they behave, and then throw them in with other characters without really knowing what’s going to happen. That requires you, as an author, to consider behavior and the consequence of behavior. If you’re true to your conception of your characters, you can discover the limitations of certain beliefs. Sometimes your heroes become villains, not because they are evil, but because their fundamental beliefs are flawed. I guess I write mainly to avoid being trapped by such a circumstance in real life. I had my first story published as a freshman in high school. I scribbled away pretty consistently after that, with occasional success. Even when I wasn’t specifically dedicating time to writing, I always played around with words and rhymes and things like that. My wife laughs at me because I’m always composing little songs (I didn’t realize I was doing that until she brought it to my attention). Writing is simply something that happens. Lately I’ve been working in dystopian fantasy. When I need a break from that I’ve had success with travel, memoir, and humorous writing. I try to spend about two hours writing in the morning. If I put it off until the afternoon, I don’t feel as sharp. Also, if I try to push for more, the work gets lazy. You notice the difference in quality when you do the edits. It was a revelation to realize what the daily limitations are. Prior to that I was always frustrated with my output since I felt I should have been doing more per day. Now I know exactly what a good day’s work is, and that gives me a reasonable, attainable daily goal. I strive for readability and I think I achieve it for the most part. I like to deal with complex issues, but if the writing is so convoluted that your readers get frustrated then you’ve not succeeded. The downside is that critics can be dismissive of work that is entertaining as well as stimulating. However, you can’t be too concerned about misguided perceptions like that. I’m probably in my stories more than I ever intended to be. The downside of that is that the version of me that exists in the work is a snapshot of the person I was while I was writing. There are things I wrote when I was younger that I wouldn’t write now. I might not believe those things anymore, but I still have to take ownership over them because they exist in the world attached to my name. It’s a good reminder for how people evolve, and it’s a very real example of why I need to have patience with others. For example, it’s frustrating to see people get irritated with how slowly their children grasp certain concepts. I’d probably get frustrated too, if I didn’t have a record of the evolution of my own development. All of the above. I have a general idea where I want the novel to go, but if I discover I can’t get to the conceived conclusion while still being true to the characters, the ending must change. Sometimes when a certain section of a book becomes plot heavy, I’ll write some notes, but mainly I’m guided by theme. The next book I have scheduled for release is a travel memoir titled “Reckless Traveler.” It’s a collection of all the best stories from when I lived in Lima, Peru. I was there from 2001 to 2009, so the book covers quite a bit of time. It should be out soon (although I’ve been saying that a while). I’m not sure where Perseid Press fits. I suppose they are Indie publishing. However, Janet Morris is the best editor I’ve ever worked with. She knows what she’s talking about, and her focus is to create great content. 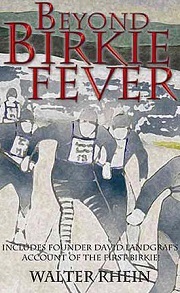 I also like that I have a lot of input as to how the book is finally released. I’m more concerned with creating quality writing than anything else, so I suppose it’s Indie all the way. 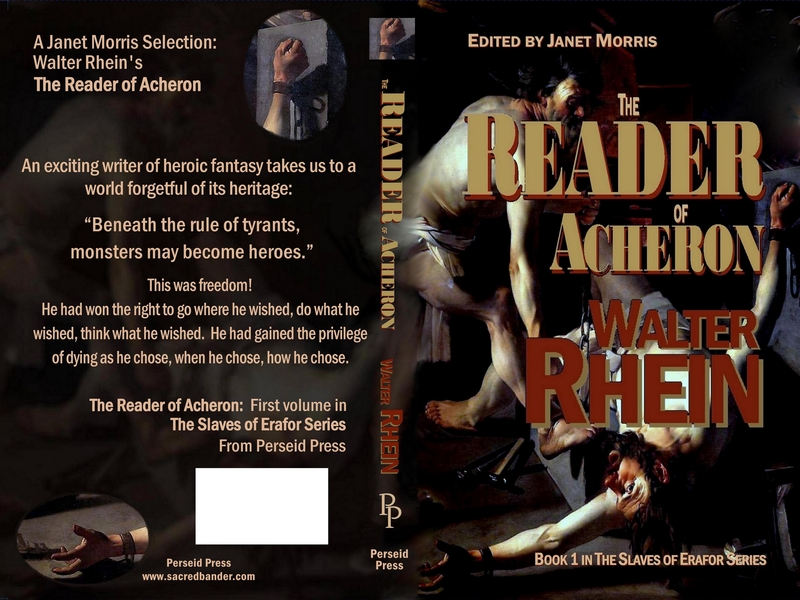 Yes, I have just finished the first draft to the sequel to The Reader of Acheron. There is still a long way to go with that book, but I’m excited about it. I believe it is a worthy sequel to the first book and I think fans of the first book are going to be pleased. I think of my kids a lot when I’m writing. It’s important to discuss the problems you’ve encountered as a human being and what your solutions were, as well as the effectiveness of those solutions. Our lives are too large in scope to really understand all at once. Producing a novel every year or so is a great way to keep track. I guess I’m just trying to make sense of things. “Not everybody likes bacon.” The point being that with as delicious as bacon is, there are still people out there who absolutely hate it. If BACON has critics, what makes you think you’re writing is going to be universally adored? 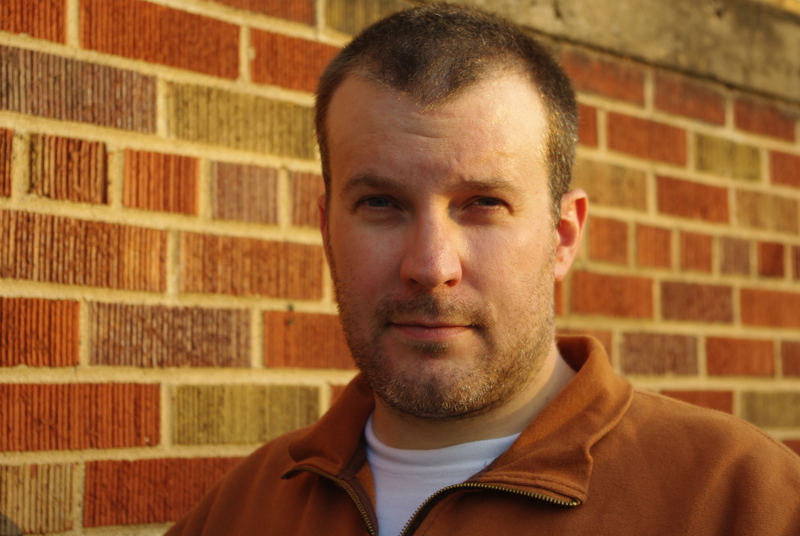 Here’s an interview with Heroika: Dragon Eaters author Walter Rhein. Quick, get my asbestos pants.